5 minutes walking distance form our local airport terminal 2. We are situated in the south city of Kota Kinabalu with buses plying to and forth. We are within walking distance to Offices, Food Outlets, Shopping Malls, Entertainment Outlets and Jetty to Tunku Abdul Rahman Park Islands from (Tanjung Aru Resort Jetty). 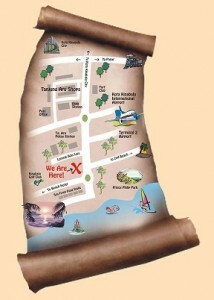 We are the only Beach House closest to Tanjung Aru Beach within a stone throw away. Tanjung Aru, 88100 Kota Kinabalu, Sabah, Malaysia.